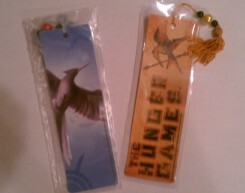 In celebration of our account @HungerGameFan reaching 500 Twitter followers, as promised we are giving away a pair of Hunger Games bookmarks. These are official Hunger Games merchandise but are no longer being made because they were a part of the Mockingjay book release last year. The winner of the contest will receive both of the brand new bookmarks, one with the Mockingjay on it and the other with the phrase “Down with the Capitol.” See below for the five ways that you can enter this Hunger Games contest. 1) Leave a comment below telling why you are one of the biggest Hunger Games fans (one entry). 2) Follow us on Twitter and leave a comment below with your Twitter ID (@hungergamefan) (one entry). 3) Post on Twitter about the contest and leave a comment below with your Tweet (one entry). 4) Sign up for our newsletter on the side of the page and leave a comment below (e-mail will be verified) (one entry). 5) Blog about this contest or post the contest in your giveaway section and leave your link to the post below (two entries). Drawing will take place October 26, 2011, at noon Eastern. Must be a US Resident, age 18 or older to enter. 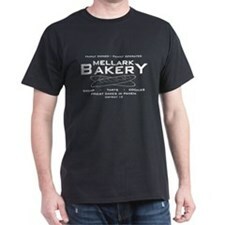 Winner will be notified via e-mail and have 24 hours to respond or a new winner will be selected. Disclosure: Contest sponsored by www.hungergamesfan.com and is no way affiliated with Suzanne Collins, the Hunger Games, Scholastic or Lionsgate.